Our goal is to provide homeless youth with housing solutions which allow them to recover from trauma, plan for their future, and thrive. With over 25 years of experience in serving homeless youth, we have made strategic decisions to focus on long-term solutions for our youth through permanent housing and economic & educational advancement. 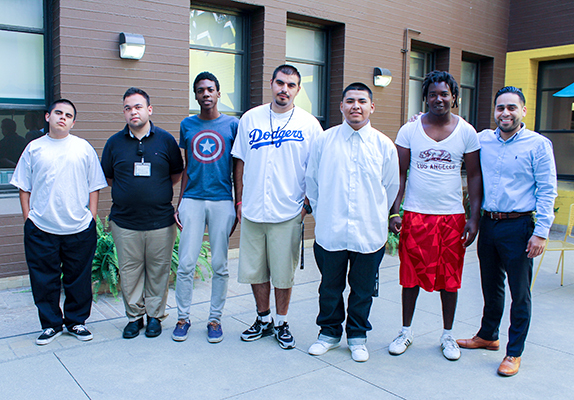 We offer a Continuum of Care that helps youth exit the streets and move into permanent housing as fast as possible. Our programs result in remarkable outcomes by helping each client build personal habits of self-sufficient living. Our Emergency Shelter and Transitional Housing programs offer a bed and a warm meal to welcome youth off the streets and into our family. 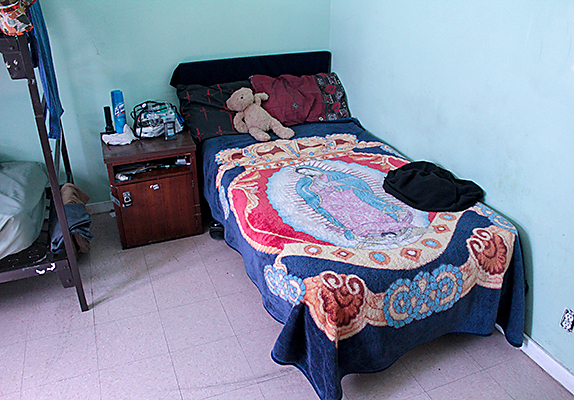 Jovenes provides short-term housing solutions through emergency shelter and transitional housing. 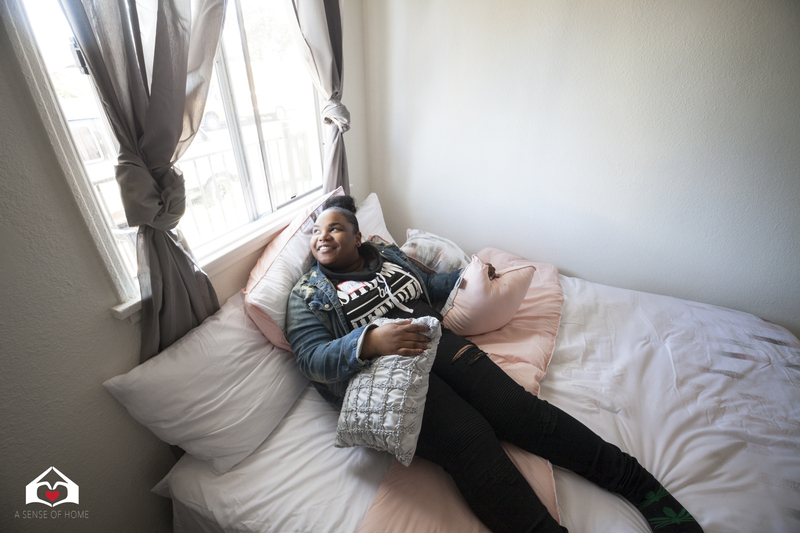 These rent-free programs provide youth with the time, space, and support they need to receive counseling and case management, develop an employment plan, and ultimately move into permanent housing. Our emergency shelter is located in Boyle Heights, and our Transitional Housing programs operate in Boyle Heights, Pico Rivera, and Bellflower. Want to Help Us Develop More Housing for Youth or Refer a Landlord? We know that shelter alone won’t end homelessness, so we’ve developed a wide variety of permanent housing options that meet the diverse needs of our youth. We define permanent housing as a situation where youth can sign a lease, pay an affordable rent, and have rights as a tenant. Throughout all our housing models, we surround youth with case management that helps them navigate the challenges they face. Rental Subsidies that help youth move into an apartment of their own and gradually take on the cost of their lease. Permanent supportive apartment housing for youth with mental health challenges. Working in partnership with developers to serve homeless youth. Repairing relationships so youth can go back home. Los Angeles has realized that no one organization can end homelessness. That’s why the Coordinated Entry System (CES) was created in 2016. CES is a way of creating regional approaches to identify, assess, and house homeless individuals, families and youth. Through CES, each of LA’s eight Service Planning Areas, or SPAs, has a lead agency (called a Regional Coordinator) who is tasked with developing partnerships between service providers, referral systems, and housing solutions for the target populations: chronically homeless individuals, homeless families, and homeless transition age youth. 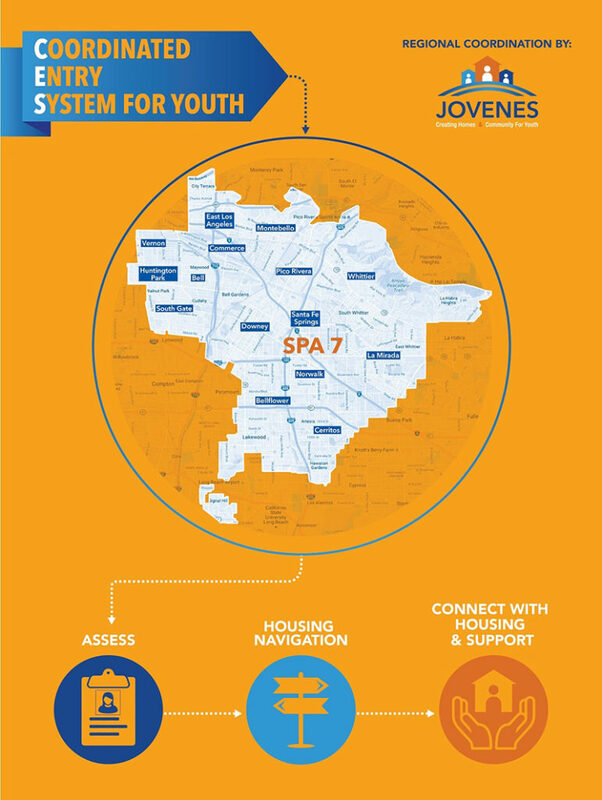 Jovenes is the Regional Coordinator for Transition Age Youth in LA’s Coordinated Entry System for SPA 7. SPA 7 covers all of Southeast LA County, from East LA to Long Beach and includes the cities such as Downey, Norwalk, Montebello, Vernon, Pico Rivera, Bellflower, Whittier, Cerritos, and more. 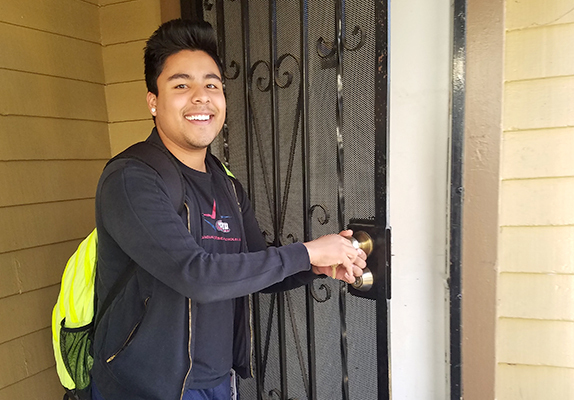 Our leadership role in these communities allows us to receive referrals from schools, churches, hospitals, police departments, and concerned neighbors and then place homeless youth into a housing situation that fits their needs.